After a week of junior breeding heifer shows, the champion heifers in their respective breeds filed into Hale Arena this afternoon to compete for the Supreme Junior Heifer title. As anticipation grew, judge Steve Reimer of Chamberlain, South Dakota, evaluated the outstanding selection of heifers. 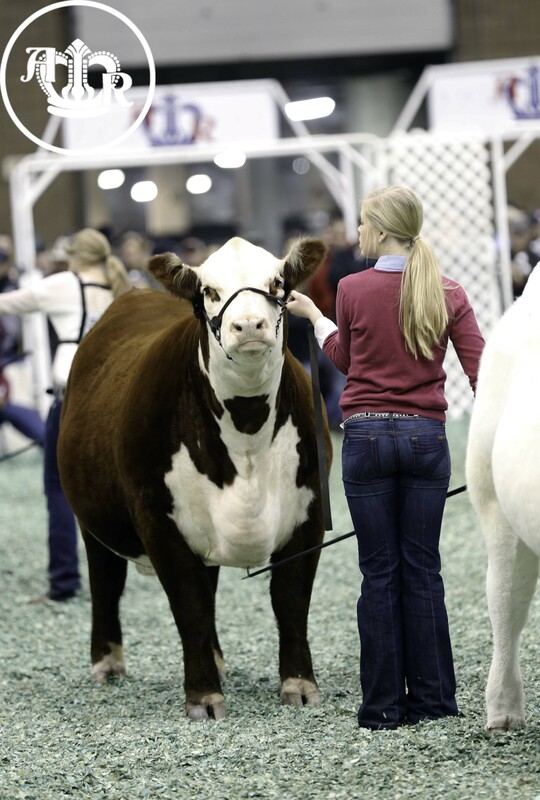 Lauren May of Mineral Point, Wisconsin, received the Supreme Junior Heifer title with her Hereford. Congratulations to all the junior exhibitors this past week!